More than 40 organizations, utilities and companies are pushing Congress to support new energy efficiency incentives and prioritize the issue in broader infrastructure, climate and transportation legislation. In a letter to congressional leaders today obtained by E&E News, companies including DuPont and Intel Corp. argue that energy efficiency represents a “rare” bipartisan opportunity to address climate change. Congress should reinstate expired tax incentives for energy efficiency and fund research at the Department of Energy, they say. “Energy efficiency is by far the largest sector in the clean energy industry, supporting more than 2.25 million jobs,” states the letter to House Speaker Nancy Pelosi (D-Calif.), Senate Majority Leader Mitch McConnell (R-Ky.), Minority Leader Kevin McCarthy (R-Calif.) and Senate Minority Leader Chuck Schumer (D-N.Y.). Utilities and groups such as Southern California Edison and the American Public Transportation Association also signed. Richmond, Virginia – Today the Senate Commerce and Labor Committee reported SB 966, sponsored by Senators Frank Wagner and Richard Saslaw, by a vote of 10:4 to the full Senate Chamber. The bill often referred to as the Dominion Rate Freeze Repeal bill, includes important funding and programmatic provisions that favor energy efficiency. 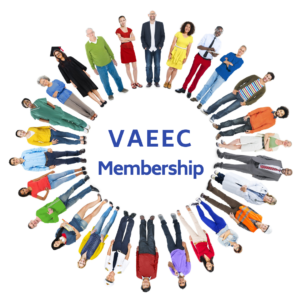 “Throughout the process, VAEEC has advocated that any portion of over-earnings that the utilities are allowed to keep should be used to fund energy efficiency programs. We applaud the Senate Commerce and Labor Committee for passing legislation that provides significant energy efficiency gains for Virginia consumers. “Energy efficiency is one of the easiest, most direct ways to help a vast number of customers lower their electricity bills this year and for years to come. “Whenever Virginia takes a step to advance energy efficiency, ratepayers win with lower monthly energy costs. Businesses win with lower operating costs. Companies and the economy win with more jobs and economic activity. And we all win with cleaner air and protecting natural resources. 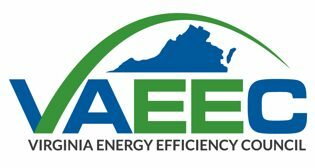 “While other aspects of this legislation have stirred controversy, support for Virginia to do more on the energy efficiency front has been strong and unwavering. Passage of this legislation underscores the widespread, bipartisan agreement that energy efficiency is a smart investment for the Commonwealth and for consumers. Commits Dominion Energy to spending $1B in energy efficiency spending over 10 years. This includes $870M in regulated programs (at least 5% of which will be for low-income households) and $6M/year for Energy Share Weatherization, doubling the current level, which will be funded entirely by shareholders. The steep spending cuts that President Trump will soon call for from federal agencies would fall particularly heavily on the Energy Department unless the Trump budget team unexpectedly warms up to the Obama administration’s clean energy, energy efficiency, and smart grid technology programs, budget experts say. White House officials said last month that the president will ask Congress to add $54 billion to discretionary Department of Defense spending in the 2018 fiscal year beginning Oct. 1. The new budget goals will be released in the middle of this month, White House spokesman Sean Spicer reiterated yesterday, which circles next week on the calendar. To keep the budget in balance, that increase for defense would require a matching $54 billion cut in civilian agencies’ discretionary spending, just over 10 percent of the ceiling for these programs set by the Budget Control Act, under which the federal government is operating. Did you blink? If so, you might have just missed a major piece of news this week. We’re just seven days into the Trump presidency and a major shift in U.S. energy policy is already underway. It’s been such a whirlwind of a week that it’s been tough to keep track of all the developments. In this recurring series, GTM tracks the latest energy and climate policy changes under the new administration to help you stay up to date. Several of Trump’s cabinet nominees have also weighed in on climate and energy policies in recent days. So in this edition we also chronicle the highlights from last week’s confirmation hearings. Minutes after Trump took office, the White House archived President Obama’s policy pages and posted new ones, including “An America First Energy Plan.” The plan commits to embracing the oil and shale gas revolution, reviving America’s coal industry and promoting energy independence, but makes no mention of renewable energy. Trump’s plan also commits to ending “unnecessary policies,” such as President Obama’s Climate Action Plan and the Waters of the U.S. rule. Eliminating such regulations will increase American workers’ wages by more than $30 billion over the next seven years, according to the new White House webpage. The Trump administration has drawn up an infrastructure investment priority list with about 50 projects nationwide, totaling at least $137.5 billion, McClatchy and the Kansas City Star reported this week. The preliminary list of vetted projects created by the White House matches a list of projects developed by the National Governors Association. Presentation at May 2014 VAEEC meeting by Kara Saul Rinaldi, Vice President, National Home Performance Council.